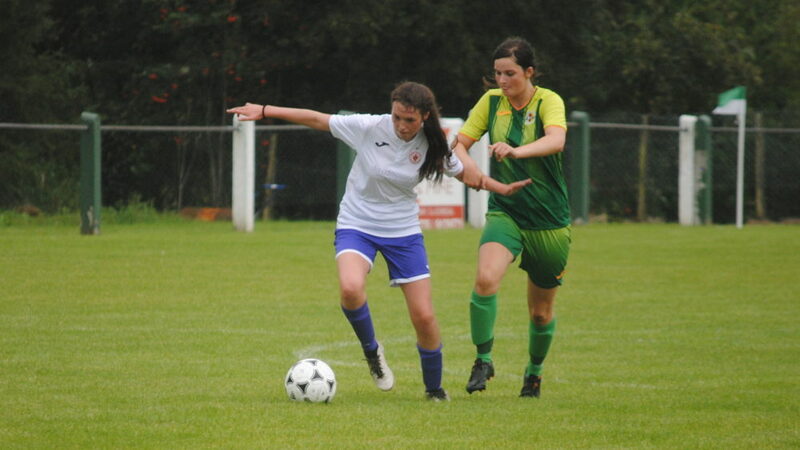 Open Trials for our Under 17 Women’s Team for 2019 will take place in IT Sligo on Friday, 4th January and Friday, 11th January 2018. A third invite only session will take place on Friday, 18th January 2018. All sessions will take place at 8:00pm for 90 minutes and all female players, born in 2002 & 2003, are invited to attend. 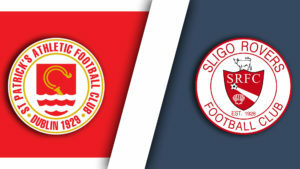 The club will be once again be based in the excellent facilities of IT Sligo for both training and games for the coming seasons (March – October ’19). Local business David McConville Orthodontics will continue as the main sponsor of our U17 Women’s Team until the end of the 2019 season. 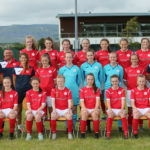 Sligo Rovers FC are inviting applicants to express their interest in a number of roles for the Women’s U17 team who will once again participate in the Continental Tyres Women’s U17 National League in 2019. 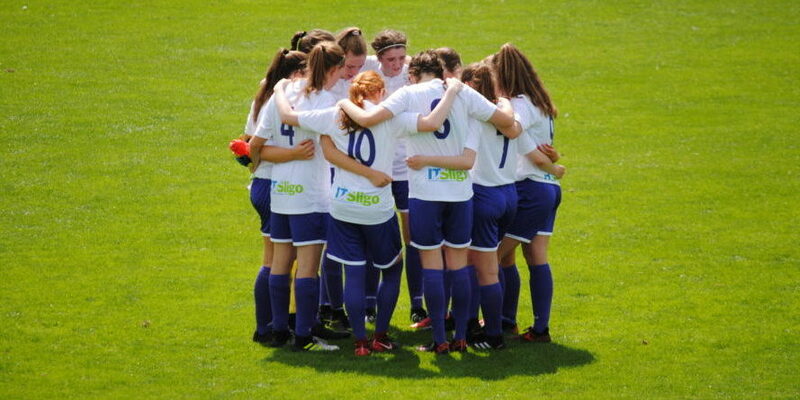 Through our Women’s Football section, our goal is to be competing at the highest level of women’s football. We will provide a performance centre strategy that encompasses the club wide philosophy for players to develop within a comprehensive and professionalised environment. The positions will be on a voluntary basis. The role will provide valuable experience for the successful candidate of working with an elite group of players. Trials will be held in early January with training commencing in Mid January and running until the end of the season in October 2019. Long-term commitment to working within a multi-disciplinary team. Access to both email and phone. Experience and enthusiasm for coaching and mentoring elite young players and coaches. Excellent communication skills with the ability to build meaningful, strong strategic relationships with players, staff and officials. Must be available for games / training at weekends and evenings. Successful candidate will be subjected to garda vetting clearance. Previous experience of coaching in female game. To apply for any of these positions please email your CV with a cover letter to Breifne Earley, Secretary, Women’s Football Committee, Sligo Rovers FC at sligoroverswomen@gmail.com by Sunday, 16th December 2018. Shortlisting will apply and candidates will be called for interview shortly after the closing date. 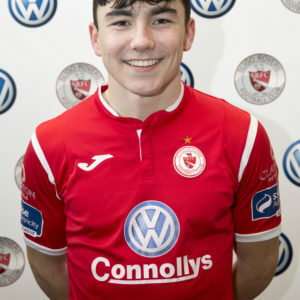 Damon Kearney, head-coach of the Sligo Rovers Under 17 Women’s team says he can reflect on his year at the helm ‘with a huge amount of pride’ as he guided the Bit O’Red girls for a fourth place finish in the Group A, just missing out on third spot. 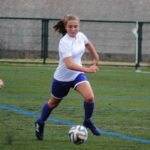 It was an historic year for the Bit O’Red, entering a team into the Women’s National League for the first time, for the first year of the Under 17 league. And Kearney is immensely proud to be able to look back and see that he has played his part in developing women’s football in the region. He also says he is ‘gutted’ he cannot continue in his role. 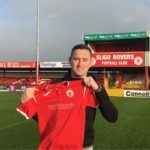 “I look back on the season with a huge amount of pride, we have provided a pathway for female players to play for Sligo Rovers for the first time in the National League and you do need to look back to where it all started from to appreciate the journey that this season has brought,” the Roscommon man told sligorovers.com. 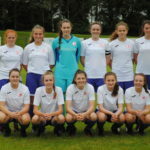 “This all began back in September 2017 where discussions were held informally with people involved in the women’s game in the region to gauge if there was an interest in exploring possibility of applying to have a U17 WNL side. 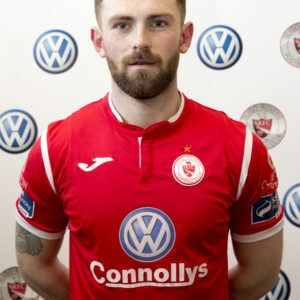 Kearney says he was honoured to be given the role as head-coach, bringing a wealth of experience with him thanks to his coaching roles with the Emerging Talent programme, Longford Town, Castlebar Celtic Women and more. He also works full time as the Community Football Development Officer for Leitrim with the FAI and Leitrim County Council since 2009. 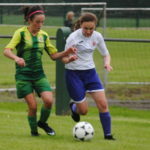 Rovers finished the season in fourth place, with goal difference separating them and Peamount who occupied third place. Kearney, however, says that the table was not his main focus for the year. He will only have positive memories from his time at the helm of the Bit O’Red Under 17 girls, but there are a couple of days that will remain precious memories for him. Players within the squad have developed hugely as the season went on, and he feels that the hard work is all made worthwhile when you look on and see how far your players have come. 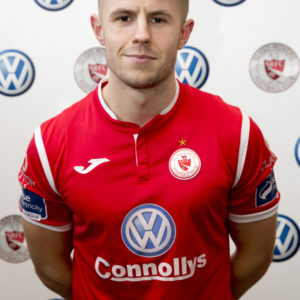 “It’s been one of my most enjoyable experiences in football, working with the group of players we had and seeing how much they have developed over the season. Great work has been done locally in the region at all these girls club’s in Sligo/Leitrim/Mayo as well as with the Emerging Talent League centres to provide a pathway for these girls. Anyone who has seen any of our games this year would have seen some of the outstanding talents within the squad. 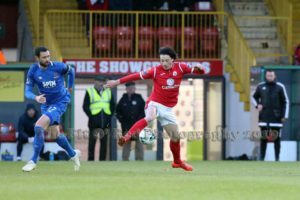 Sligo Rovers are providing the next step for them to challenge themselves at the highest level then against the best of the best elsewhere and they players learn so much from that playing at that level week after week. Some players adapted really quickly while others grew in confidence as the season went on, overall the players and their parents must take great credit for how they conducted themselves this season as it is a big commitment to play at this level but then the progression of these girls hopefully makes it all worthwhile. 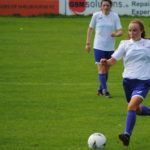 The club’s step into women’s football has been greeted with a huge amount of positivity, and Kearney says that the Under 17 league in general has been a massive step in the right direction for women’s football in the country. “This has been a huge step forward in the right direction not just for our region but across the country in women’s football. The game is growing in terms of numbers, slowly women’s sport is getting more exposure, there is still a long way to go but it is moving in the right direction. Things like the U17 WNL is a big step in providing opportunities for our elite players to move onto beyond the Gaynor Cup and for players who have ambitions to push themselves on this is where they should be aiming for. 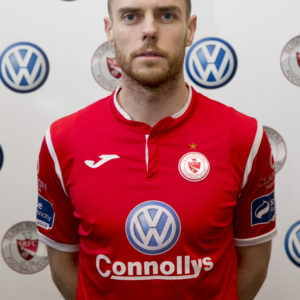 Sligo Rovers would like to place on record their thanks to Damon Kearney for his commitment, dedication, professionalism and hard work, in what was an historic year for the club. Damon’s contribution to the club has been invaluable. Sligo Rovers FC are inviting applicants to express their interest in the role of Head Coach for the Women’s U17 team who will once again participate in the Continental Tyres Women’s U17 National League in 2019. The position of Under-17 Women’s Head Coach is key to the ongoing development of our elite underage players and will play a significant role in their development. The position will be on a voluntary basis. The role will provide valuable experience for the successful candidate of working with an elite group of players. 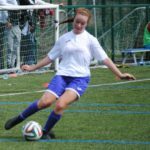 Help club achieve its vision to ‘Build a brand that is associated with excellence on and off the pitch for women’s football, to be considered as an example of excellence and best practice, and one of the major developer of players within the country at underage, and eventually senior level’. To assemble squad through talent identification for the beginning of the FAI Women’s U17 season in March 2019. The development and nurturing of a pool of elite players to facilitate their current and future success as individuals and as a team. Organise, plan and deliver a suitable player development programme in line with the FAI and Sligo Rovers coaching syllabus. Uphold the clubs code of conduct and implement club’s vision on and off the pitch. Setting high standards for the players both on and off the pitch. 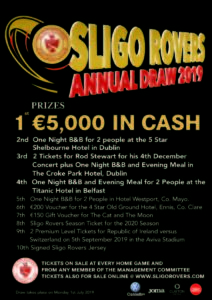 To work with the media in any area regarding Sligo Rovers FC. Ensure the club adheres to FAI & Women’s National League rules and regulations and competition rules. . The successful candidate will report to the Women’s Football committee within the club. 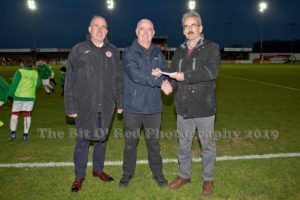 The women’s committee includes members of the club management committee and the Head of Youth Development within the club and is governed by the management committee of Sligo Rovers. A current valid UEFA B Licence holder as a minimum. Up to date Safeguarding 1 / Child Welfare Certificate. An ability to produce verbal and written reports. Has the leadership ability to inspire a team to play to their maximum potential. Ability to communicate and implement club’s philosophy as head coach. Empathy with young players with an ability to inspire. Understanding of learning, development and high performance with a proven ability to create optimum and challenging learning environments for players. Strong existing relationships within the Women’s football in North-West. To apply for this position please email your CV with a cover letter to Breifne Earley, Secretary, Women’s Football Committee, Sligo Rovers FC at sligoroverswomen@gmail.com by 5pm on Friday, 23rd November 2018. 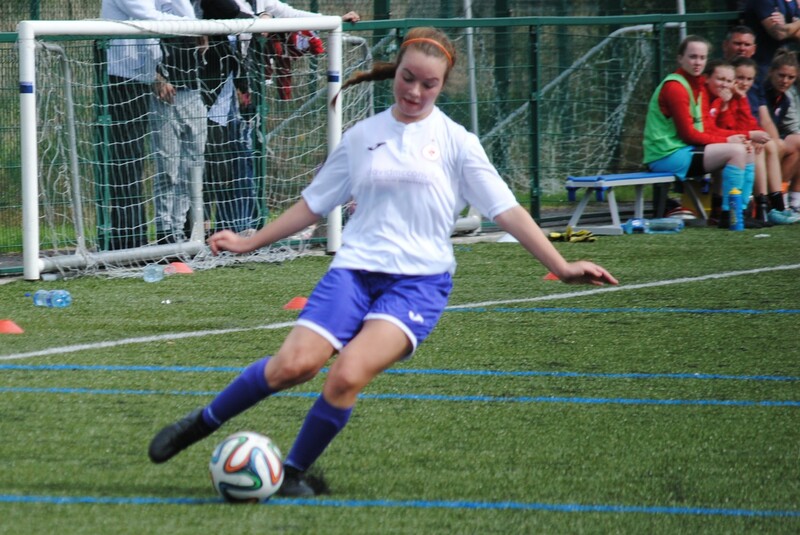 Shelbourne Ladies had their goalkeeper Courtney McQuire to thank as they left Sligo IT with all three league points in this enthralling Continental Tyres U17 Women’s National League encounter yesterday with a single strike from in form Rebecca Cooke giving the Dublin side the 1-0 victory. Sligo Rovers women’s Under 17 side will be hoping to make it three wins from three as they play host to Shelbourne Ladies at IT Sligo tomorrow (Saturday) at 2pm.